It may be a short month, but February marks that time of year when it starts to feel like winter may never actually end. Luckily, we have occasions like Chinese New Year and Valentine’s Day to indulge in some comforting, tasty dishes to get us through. Here are five things we’re excited to eat and drink this February. 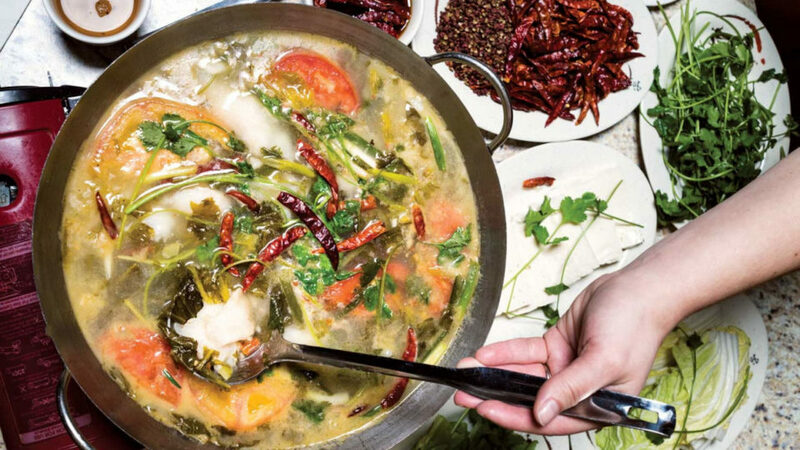 Chinese Lunar New Year is on February 5 and this current cold snap has us yearning for some steaming hot pot. One of the most authentic and delicious spots for Sichuan cuisine in Calgary is Szechuan Restaurant. The mild soup at this no-frills restaurant has the perfect amount of spice for a cold, wintery day. Deerfoot City’s Food Lodge has finally opened with a few quick service eateries and more to come. One you can eat at now is Calgary-based sandwich chain Chachi’s. While it’s known for its locally sourced meats, its mac and cheese offerings are just as drool-worthy. Try the Rosé Mac N Cheese with sun dried tomato, green onion and bread crumbs. Redheads Japa Cafe in the Beltline can be easy to miss, but those who know and love it rave about its signature dish, the Japanese curry. The hearty meal is another great comfort on a cold day. It has sticky rice smothered in warm curry (which has a sort of beef stew consistency) and choices for toppings include katsu (breaded pork), karaage (fried chicken), hamburg (beef patty), egg, cheese and pork sausage. Have it for brunch (weekends only), lunch or dinner. Village Ice Cream’s newest seasonal is an ode to one of Canada’s favourite desserts and we couldn’t be happier. The Nanaimo bar ice cream has chunks of Nanaimo bar, toasted coconut and custard. Visit Village’s newly renovated Victoria Park location for a scoop. First of all, think of the Valentine’s Day Instagram opportunities. The Protestant cocktail at Cleaver is made with Bushmills whiskey, cherry liqueur, poppyseed, vanilla, lemon, apple and cherry bitters and topped with perfectly pink cotton candy. Order it when it’s just $7 (normally $12) during Cleaver’s happy hour, which runs before 7 p.m. and after 9 p.m. from Sunday to Thursday.